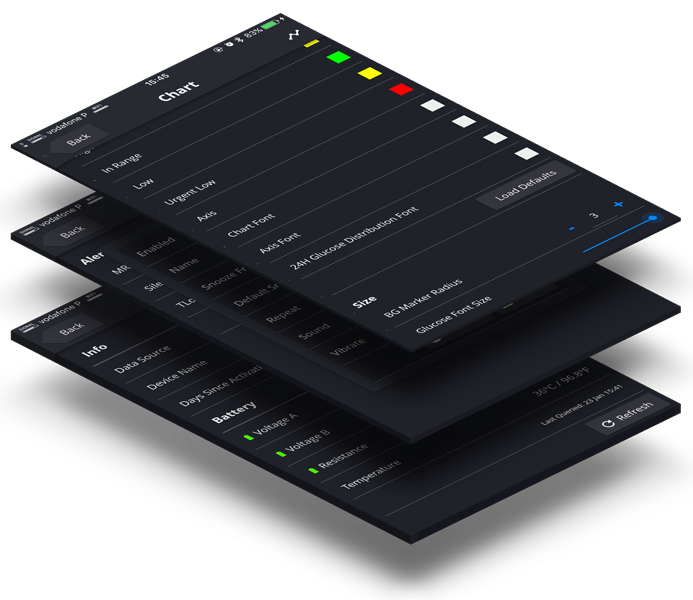 From alerting you of hyper and hypoglycemia events to predicting your glucose up to 4h into the future and allowing you to manage all your treatments, Spike will change the way you handle your diabetes. Fully customisable. Ability to change colors, size, fonts, etc. Most relevant stats displayed directly on the home screen. Compatible with Nightscout, Healthkit and other services. Tailored to your needs to keep you always up to date. Know your values without having to open the app. Battery levels, temperature, days since activation, etc. 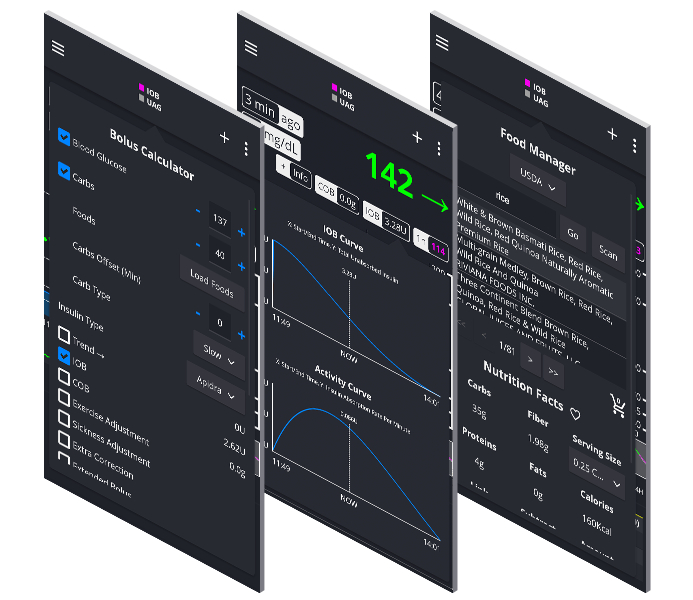 Manage all your treatments in one place: bolus, carbs, meals, basals, exercise, etc. Predict treatments outcome and glucose levels up to 4h into the future. Keep track of your current IOB/COB and visualize each absorption curve. Connect Spike to IFTTT and automate anything you can think of. Use it to follow and manage diabetic friends and family members. Access nearly one million foods. Let Spike do all the dosing work. Blaizing fast performance coupled with highly optimised code to give you the smoothest experience possible. Battery consumption, CPU cycles and memory footprint have been reduced to a minimum. It works great on older devices. 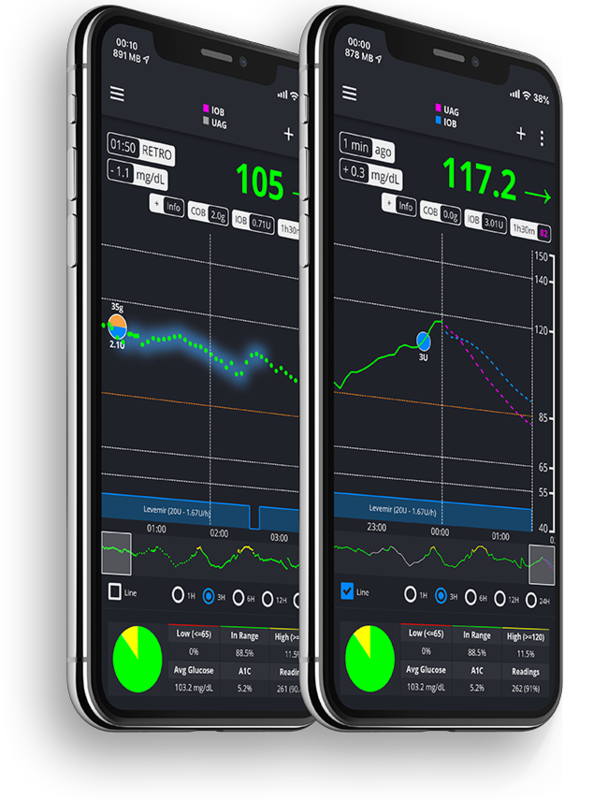 Spike also features 3DTouch support for quick shortcuts to the most used actions and a Today Widget for a quick glance at your glucose values and trend. 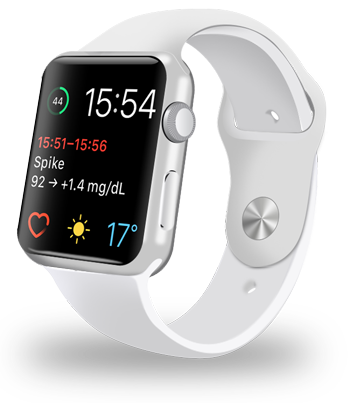 See your glucose levels directly on your wrist using a complication, even when you’re offline. Data updates every 5 minutes and can be shared in realtime with other people’s Apple Watch so they can act as followers. Compatible with iPhone 4s+, iPod Touch 5+ and iPad 2+. We’re working hard to make Spike available once again. In the meantime, please find an alternative app to help you manage your diabetes. For updates please join our Facebook group. The app lives from contributions of the diabetic community and future features will require purchasing 3rd party libraries. If this app has impacted your life in a positive way and you want to keep this project alive please consider making a donation. Every contribution counts. Thank you! This program is free software distributed under the terms of the GNU General Public License as published by the Free Software Foundation, either version 3 of the License, or any later version. See http://www.gnu.org/licenses/gpl.txt for more details.